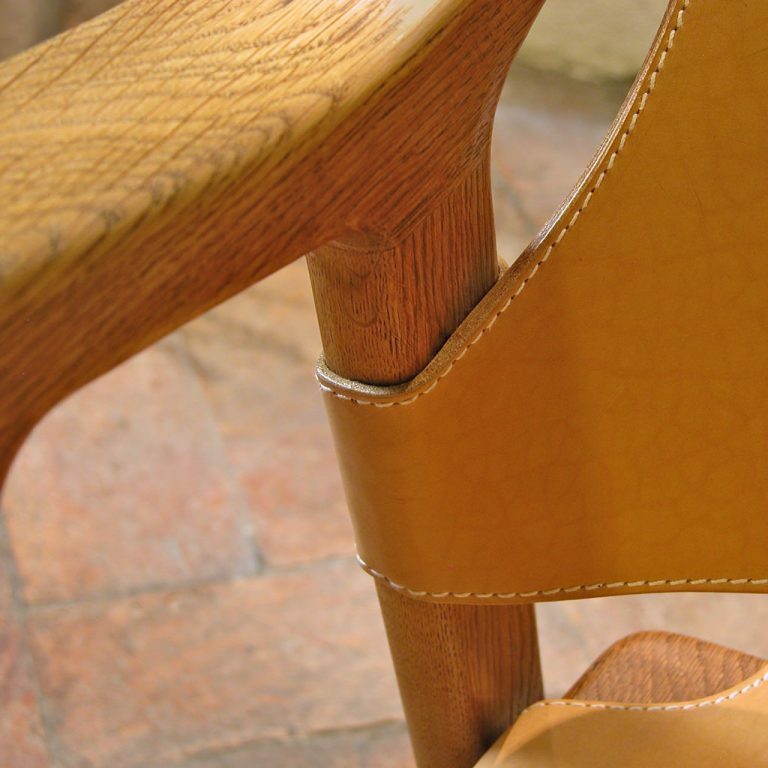 Dario refurbishes the leather parts of your chair, giving them back their original beauty. 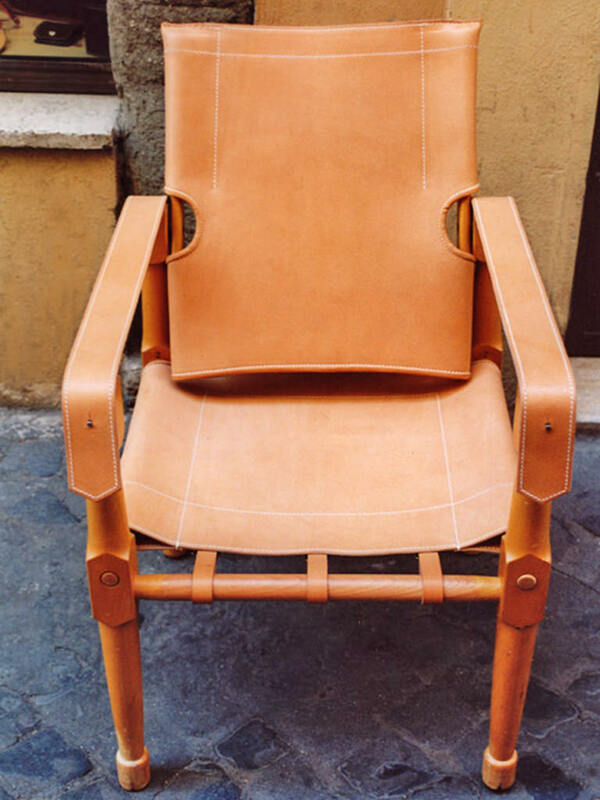 He uses environmentally-friendly vegetable-tanned Italian hides of the highest quality. 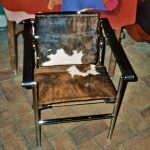 Don’t throw away the old leather pieces! 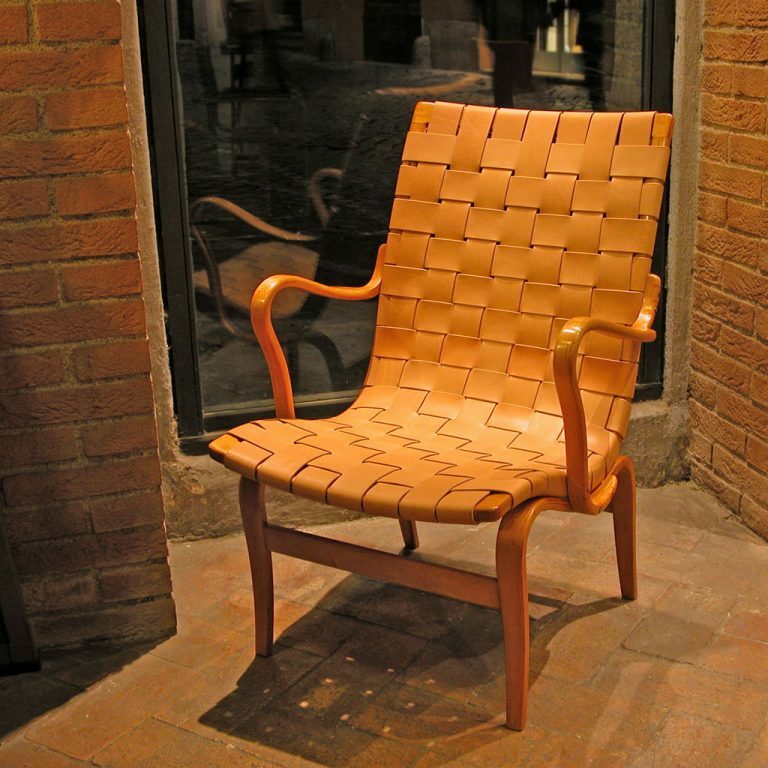 He will use them as templates for the new ones. 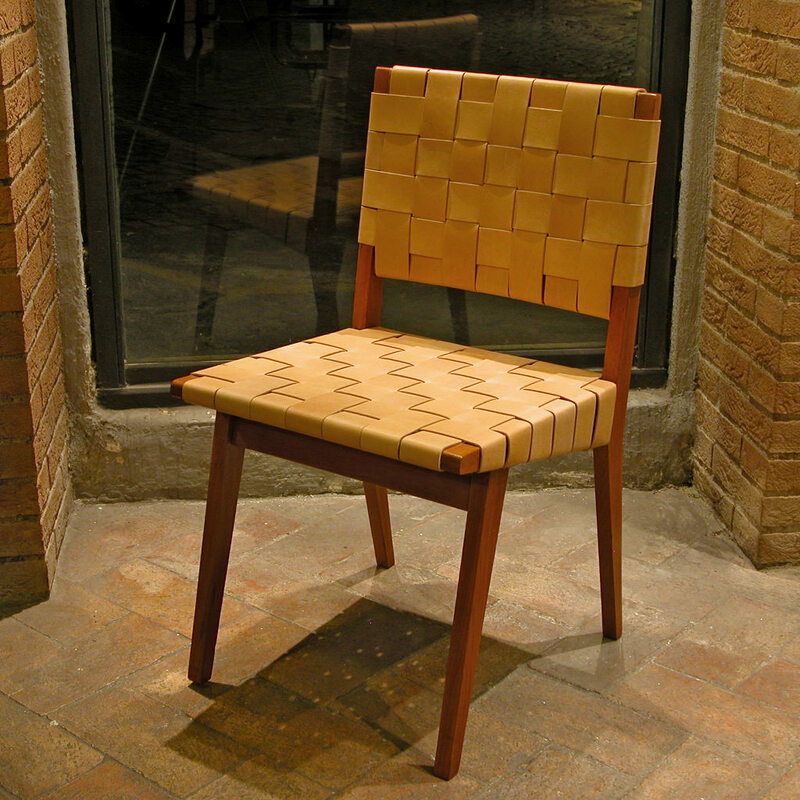 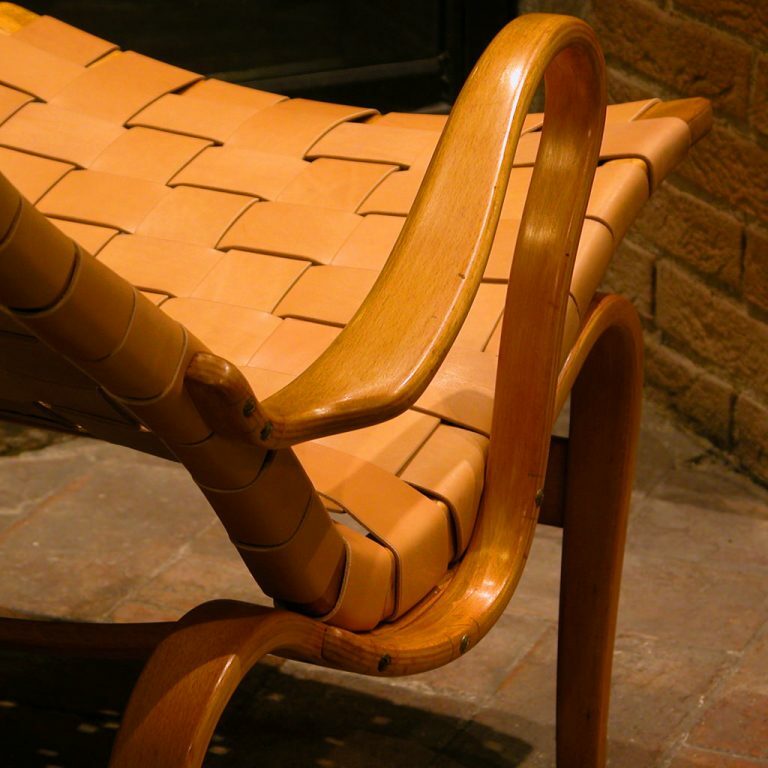 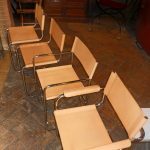 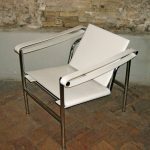 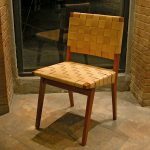 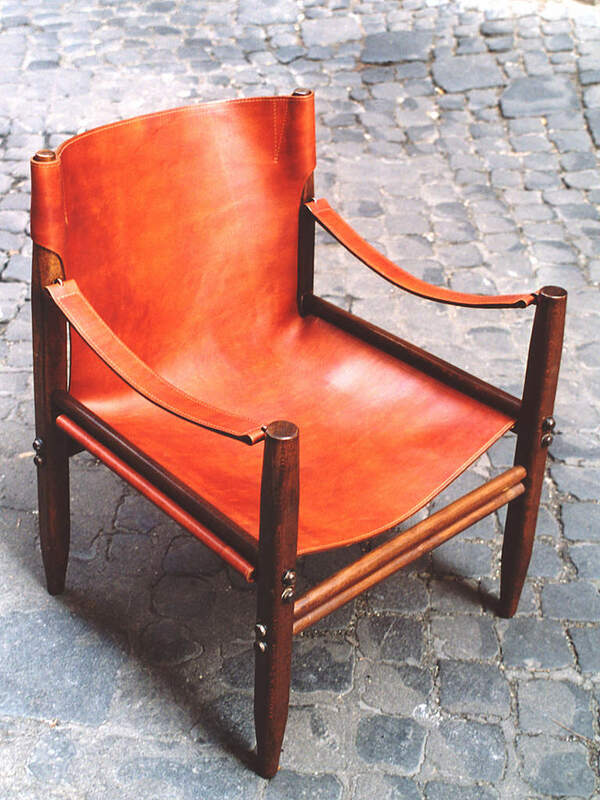 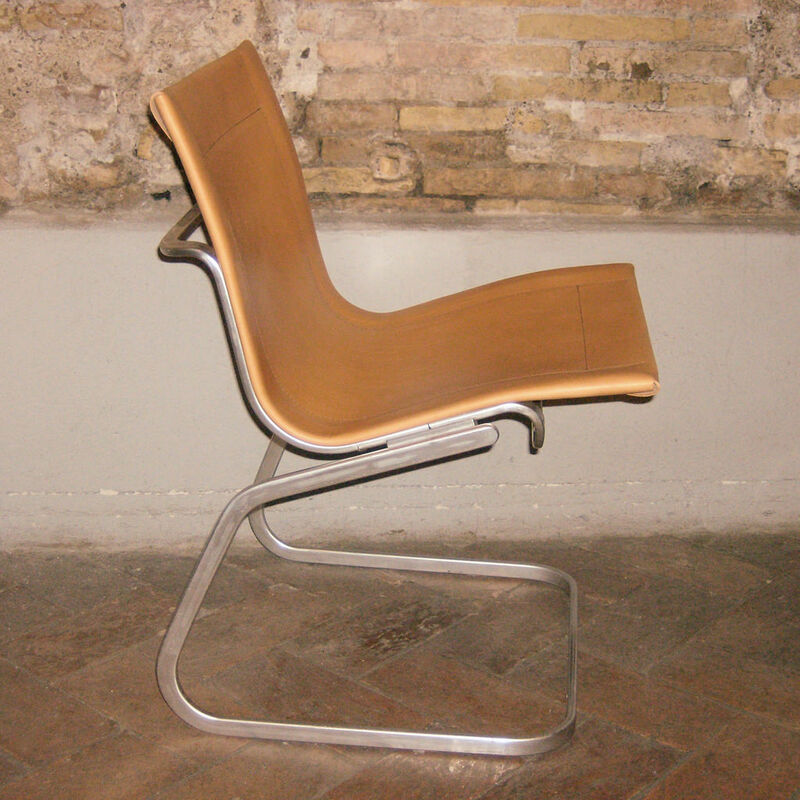 Below, you can find a selection of chairs that Dario has restored in the past. 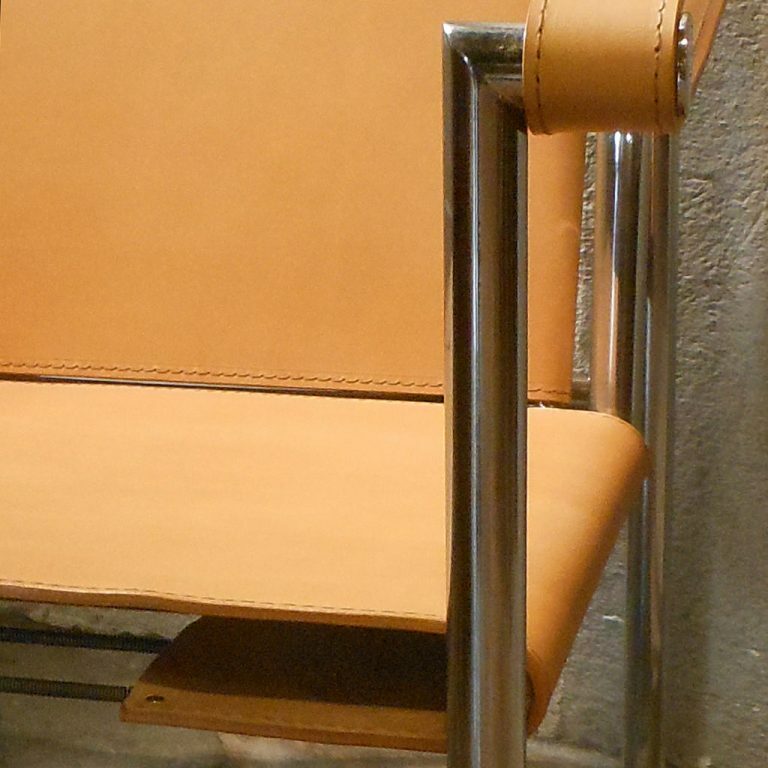 Click on any photo to see a slideshow. Bruno Mathsson’s “Pernilla” and “Eva” chairs restore beautifully, as the smooth curves of the wood meet the perfect geometry of the latticed leather. A real beauty, this little chair: “Fox”, designed by Rolf Hesland in the late 1950s in the Bruksbo design studio; produced by Haug Snekkeri. 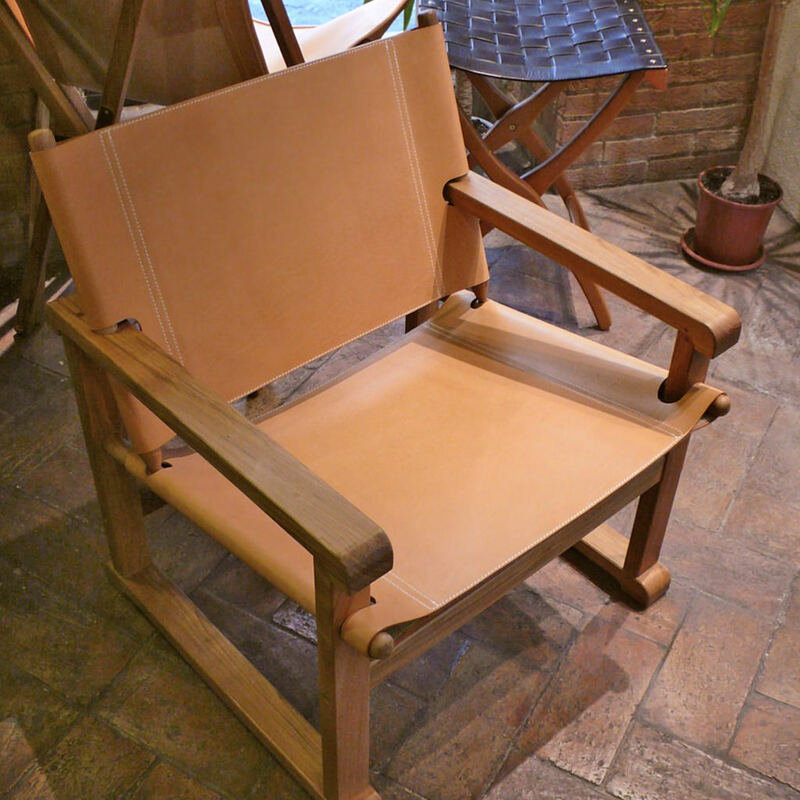 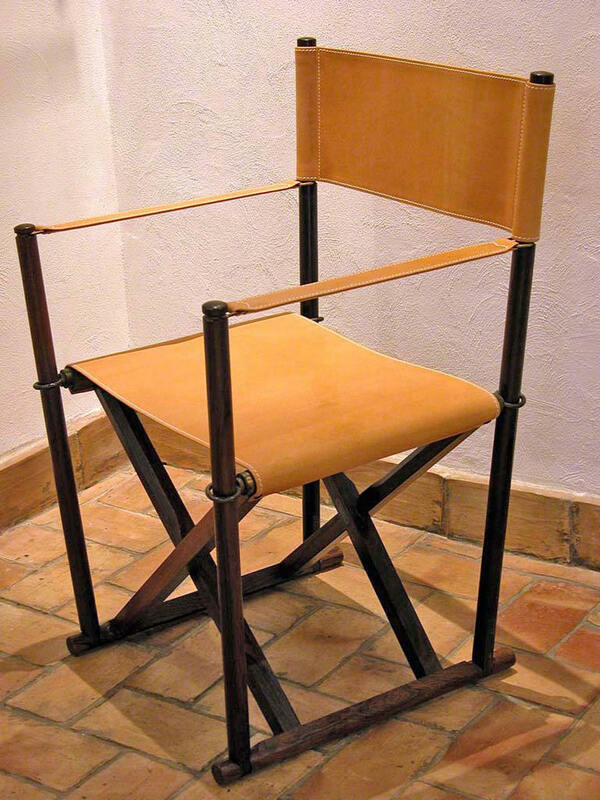 The LC1 “Siège à Dossier Basculant“, also known as the “Basculant”, became an icon of 20th century design. 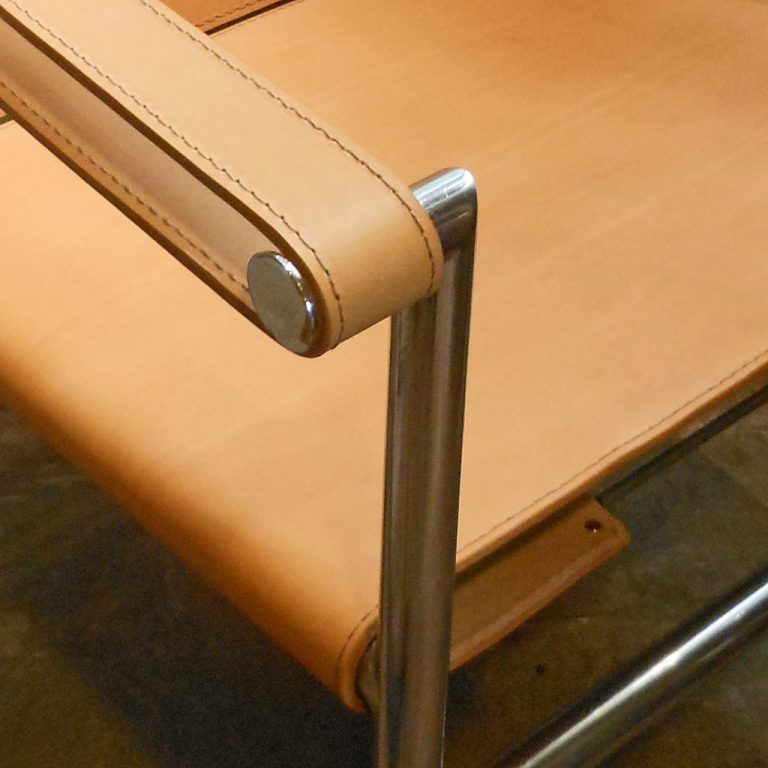 Simple, functional, beautiful geometry. 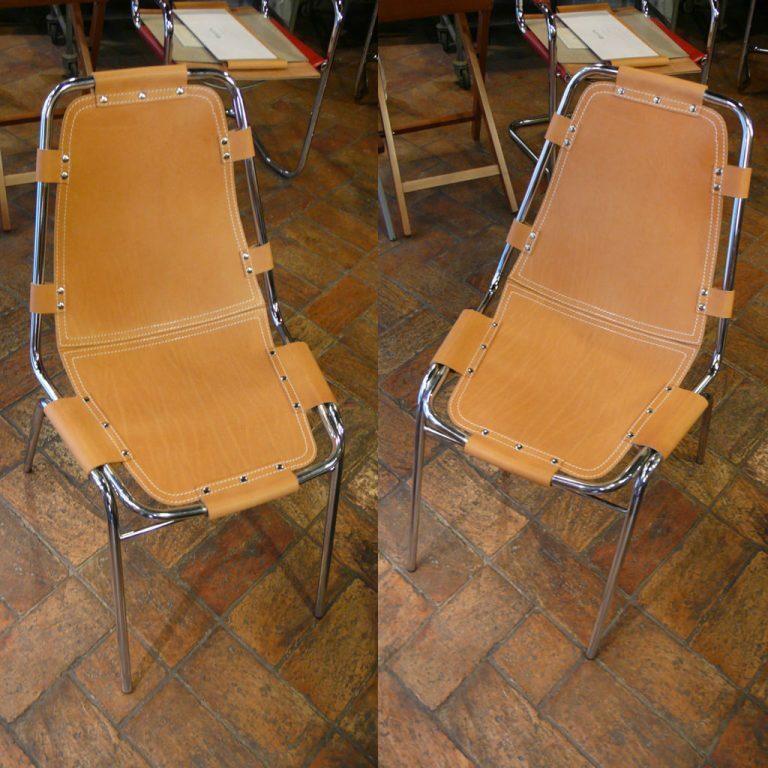 Selected by Charlotte Perriand for the French ski resort Les Arcs in 1970, these chairs are adorable; full of Perriand’s sense of fun. We get a lot of “campaign chairs” to restore. 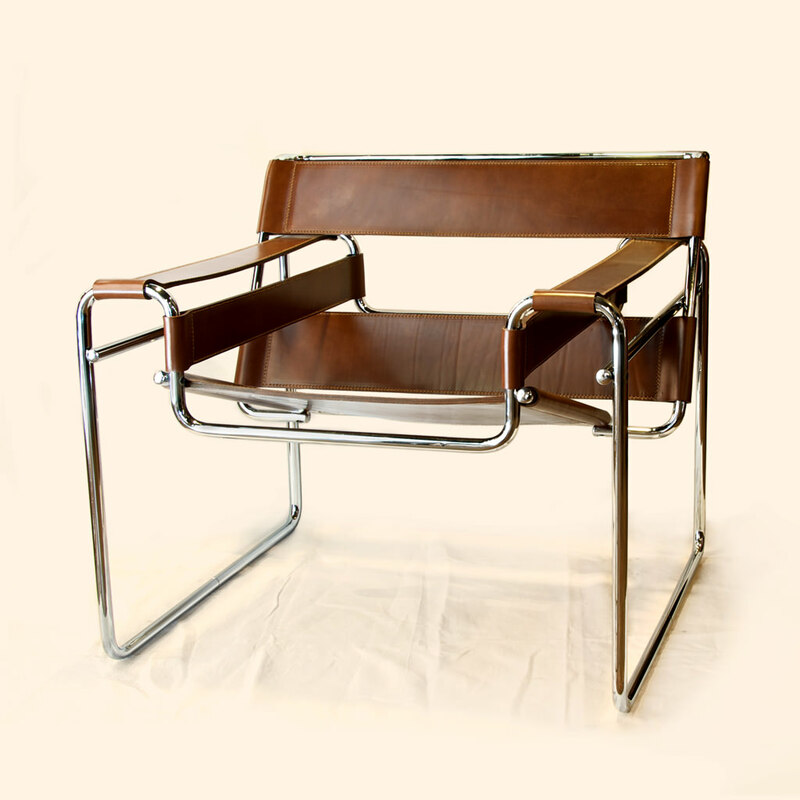 Also known as “field chairs”, “safari chairs” and “Roorkhee chairs”, they offer a good compromise of functionality and comfort. 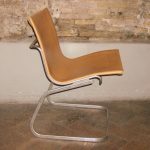 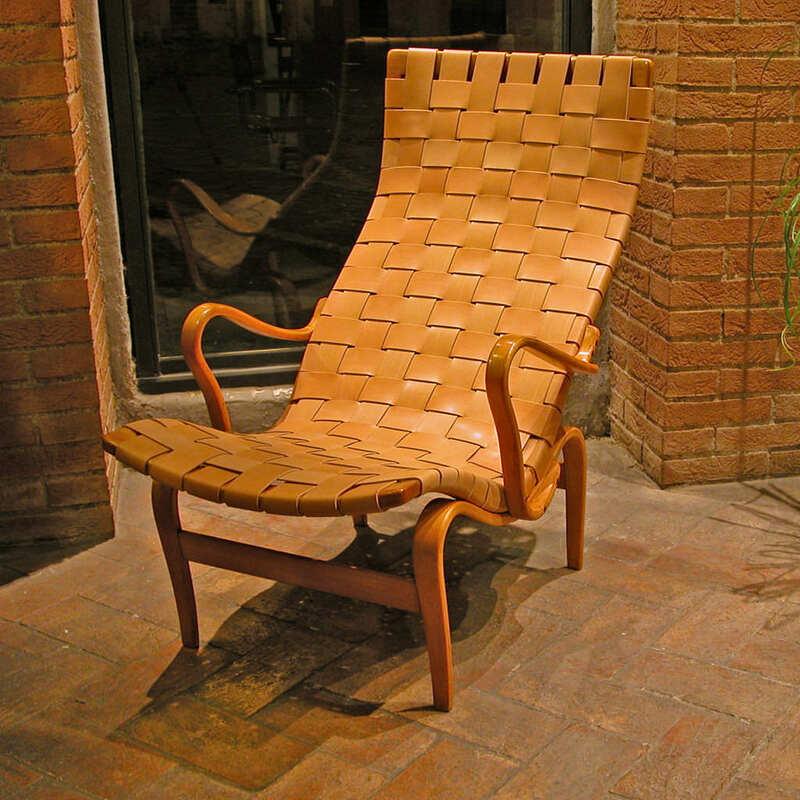 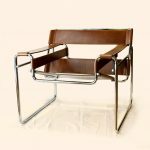 There are many variations on a basic design, from Zanotta’s classic “Moretta” designed by Bernard Marstaller, and others by Mogens Koch, down to to no-name imitations. 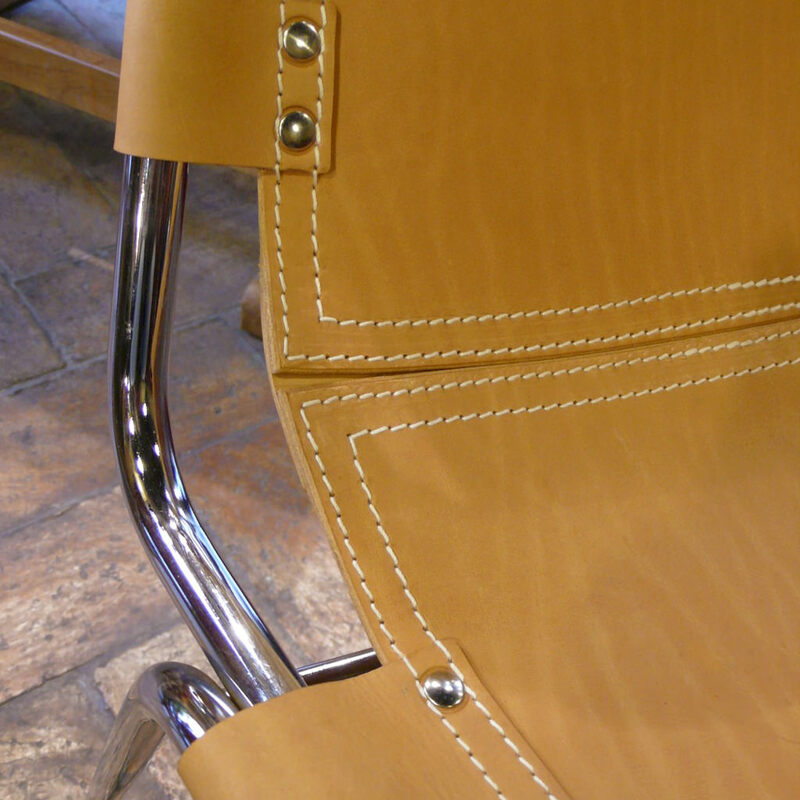 Each has its own distinct design and we refurbish the leather parts faithfully in the style of the original. 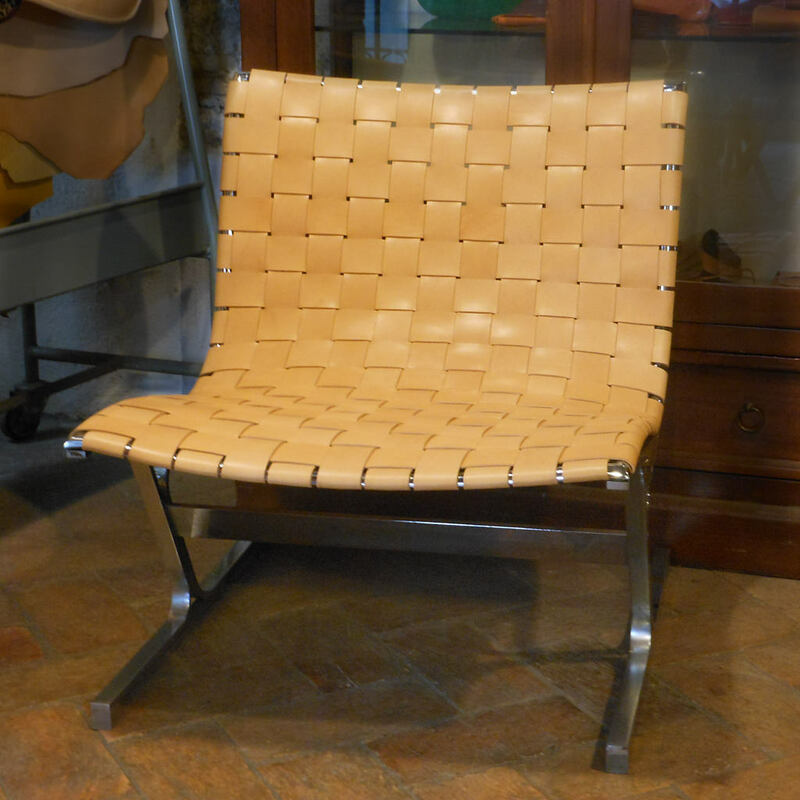 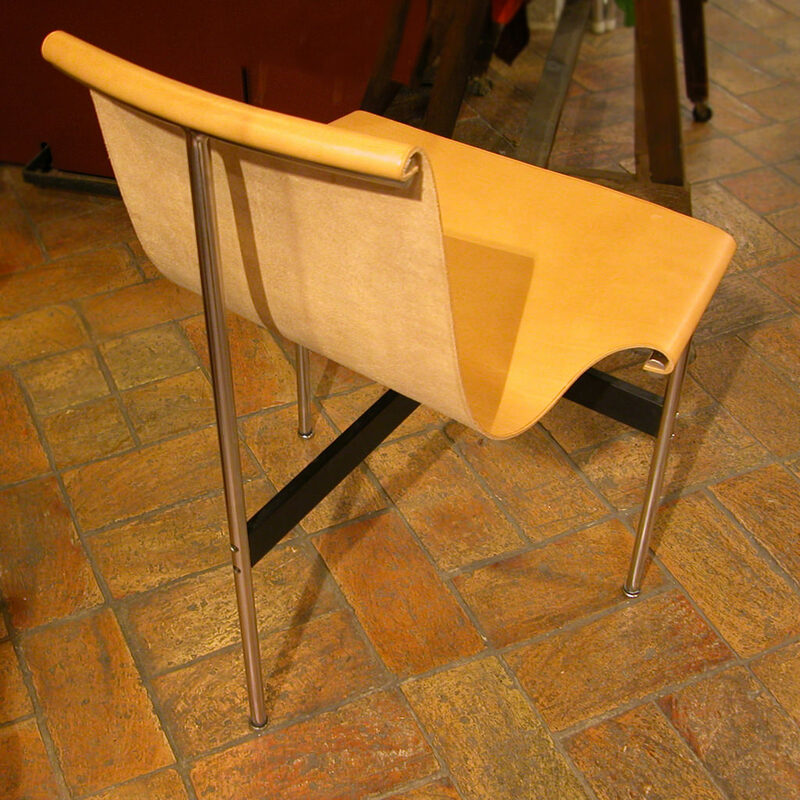 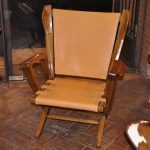 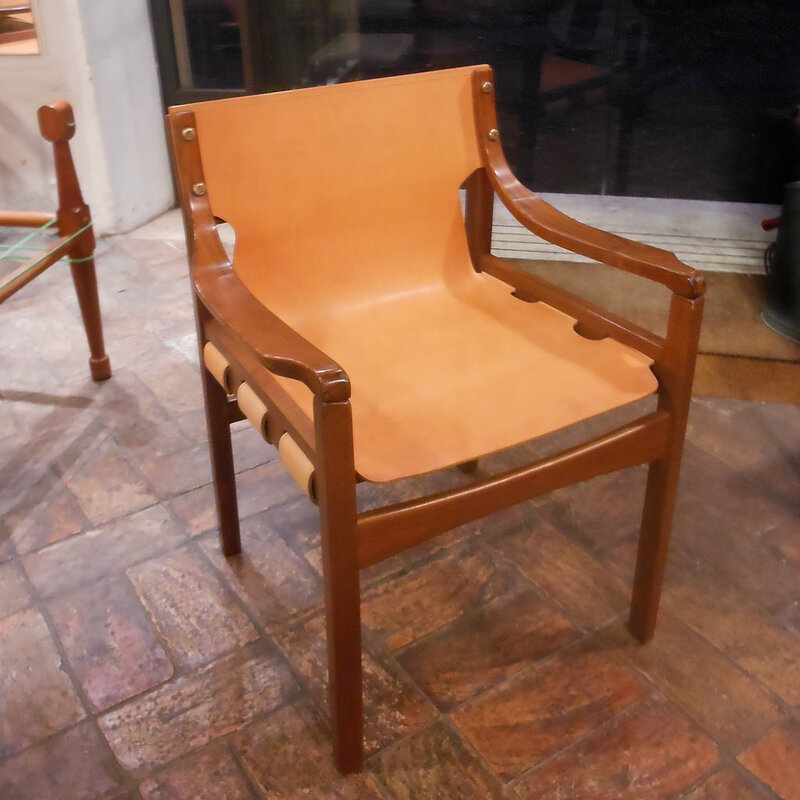 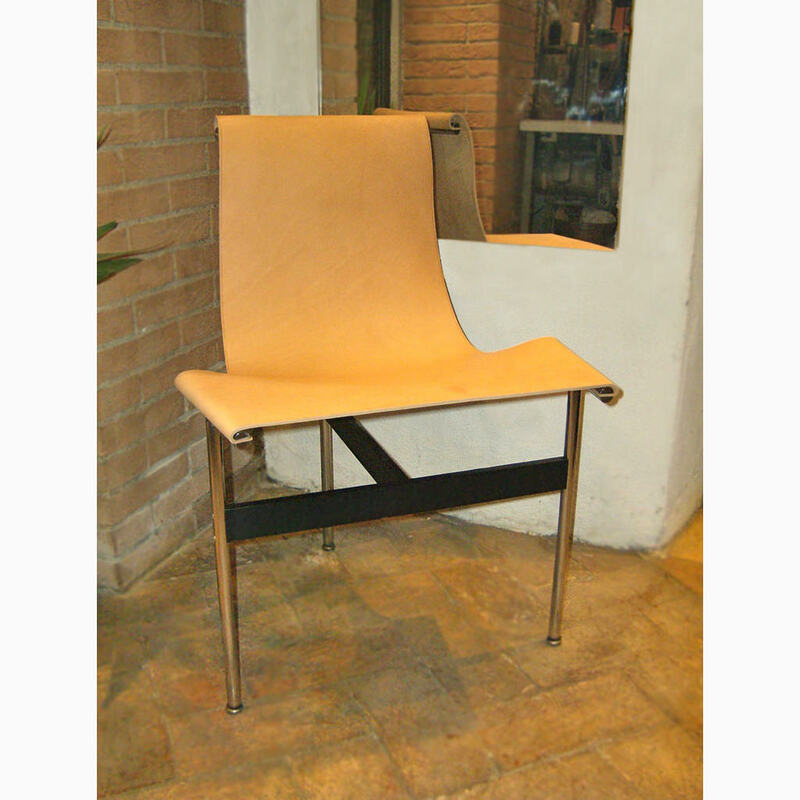 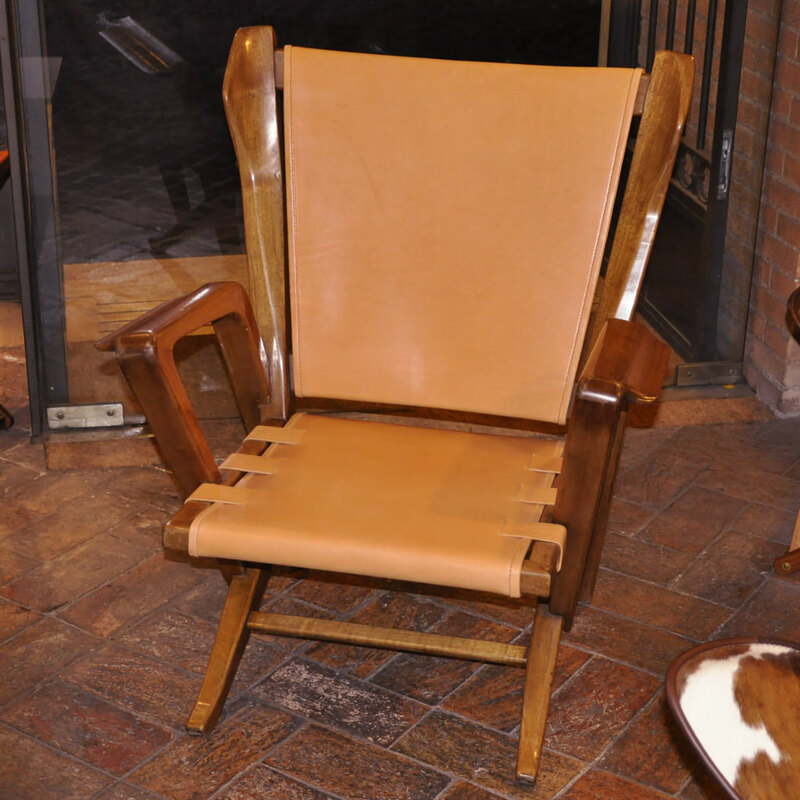 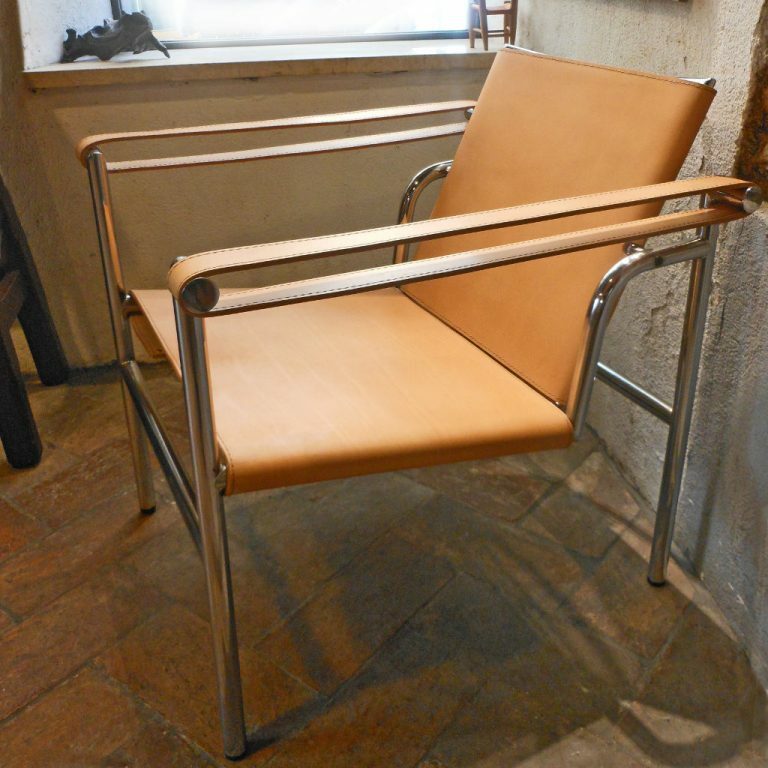 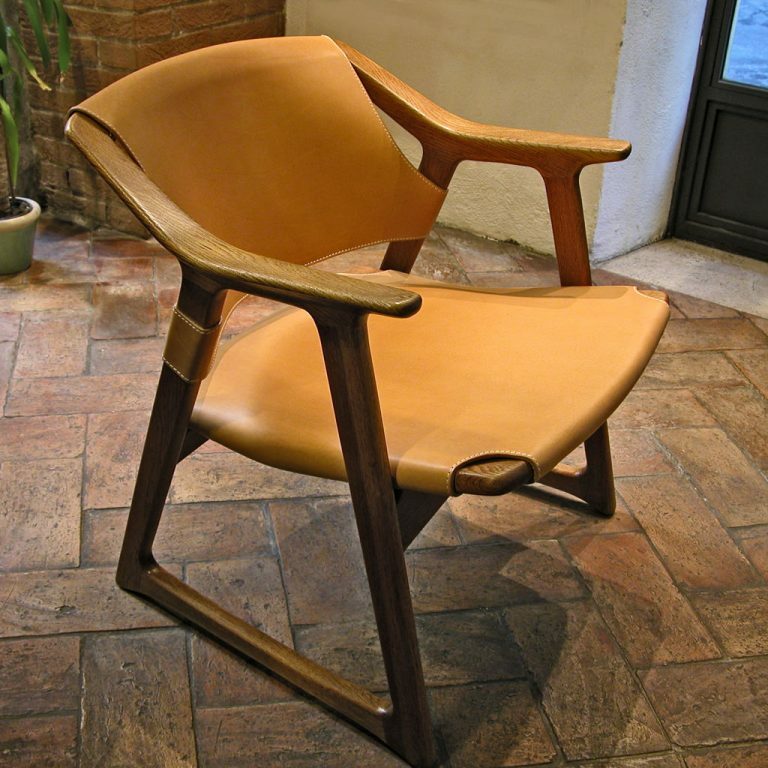 We can take your original designer chairs and restore them with your choice of leather.